Sorry couldnt find where i put it on the KR site so link to a different forum but may still be worth a look. Something like closing the inlet (trailing edge) at 75-85deg ATDC should make a big difference. TSI on this forum may be worth a PM on this one ! To anyone who maybe interested. Works fine better bottom end power. Dirk's words of wisdom did spring to my mind before you mentioned having to slip the clutch. What were your jetting settings before? Main 150 after barrels ported. What were the carb settings from factory? Luders wrote: What were the carb settings from factory? Have a 150 main and looking at the plug it can still go larger. I would always advise sticking with stock jetting. Glad you''re happier with the power improvement though. Luders wrote: I would always advise sticking with stock jetting. Glad you''re happier with the power improvement though. 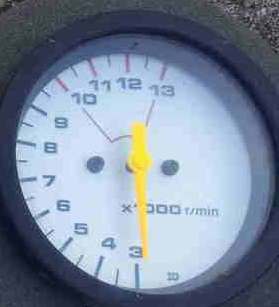 2stroke wrote: Main 150 after barrels ported. Now I understand the reason it was so flat down low in the first place. We bought this bike with no compression and needing a rebuild. Also no bottom end power. Porting the barrels not for top end only but right through the rev range. Which it has done. O-ring the heads to give higher compression which also improves bottom end. Bike did improve and goes great. But comments like yours makes me wonder why I bothered sharing this on here!!! I'm sorry if you took what I said the wrong way, but it was the first time youd even mentioned porting the barrels, let alone how they had been ported. More often than not people will port for massive top end, which is what I had wrongly assumed, but you hadn't really given us much to go on. Cool. Just don't judge before you know the facts. I am trying to remove the bottom end bog, and I have lowered the needle from stock, to the third groove,( will cause more lean conditions in low rpm.) will report back ASAP.